WOOHOO! 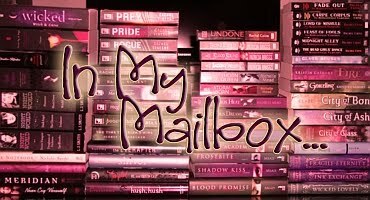 Awesome bookish week darling!! SO glad to hear that Industrial Magic arrived!!! :D hehe You will have the rest of the series in no time!! :D Can't wait to hear your thoughts! Wow you got a lot of great stuff this week. I hope you enjoy the Kelley Armstrong series since you got several of the books in that series. Kevin is great I got to meet him at Phoenix Comicon here in AZ. He actually lives here so he just randomly will go to the bookstores in town and sign copies of his books. Ooh awesome IMM!! See a couple that I got this week and last week as well! Great mailbox! Awesome books you got this week. They all look really interesting. Hope you enjoy reading them all. Hey Tynga great IMM! You got some awesome reads=) I can't wait to hear your thoughts on Hexed and Grave Dance=)Oh Yay! Forever! =)Lastly congrats on reaching your 2 year anniversary mark;)Mine is not til Feb so I can't wait. That is an amazing haul. I can guarantee that you will be a happy reader for quite some time. I especially love The Greyfriar. Enjoy! Great books!!! I just started the Mercy Falls series!!! Im liking it so far!! And I really enjoy Kelly Armstrong!!! Happy reading!!! Nice mailbox this week. I cannot wait to read Forever. That's a huge list of books! Waiting for my Forever too. Bought your Die for Me: I took a picture of it for IMM and mentioned it was for you :) Psst it is gorgeous. seriously beautiful cover.